Taking a day out of the calendar to exchange information about NIR can be time well spent. 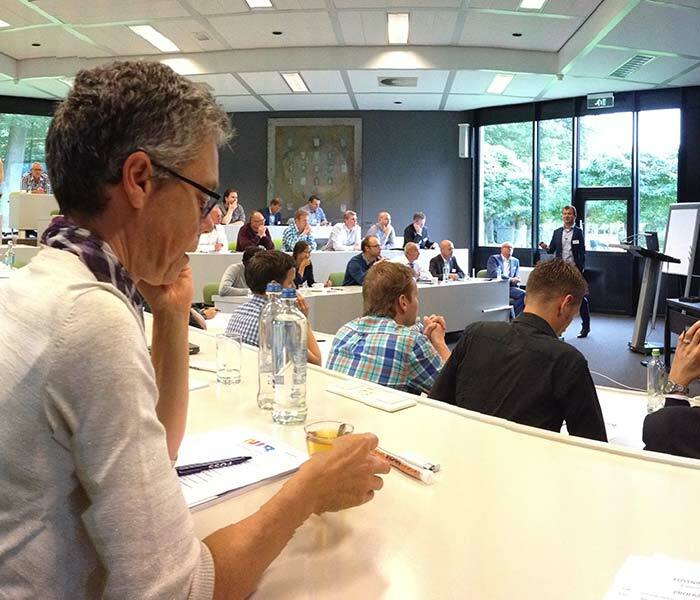 That was a clear takeaway from a FOSS conference for users of NIR analytical technology in the Benelux region in September. Providing inspiration and knowledge to help users get the best out of the ever-powerful analytical technology, the event included presentations from a broad group of companies in the food and agri industries using FOSS NIR equipment. Just some of the topics covered included NIR networking, the influence of sampling on NIR results, chemometric methods for qualification and identification and moving from an old NIR platform to a new one. Speaking on the topic of NIR networking, van Engelen explained how linking analytical instruments in a network is not just about the physical connection of instruments, but also the other important aspects such as standardisation of instruments and standardisation of sample preparation and laboratories. “That´s the complete picture,” he said. The elements of a good network include the laboratory providing the basis for NIR calibration and standardised instruments which are re-standardised on an annual basis to keep the platform as tight as possible. “Then of course the software plays an important role in doing everything as efficiently as possible,” he added. Advances in technology such as Networking have made NIR a central pillar of quality control. “When I think back to the Eighties when people would have to physically carry a sample from the production floor to the laboratory and then have to wait six or eight hours for a result before knowing how to optimise the process, the speed of NIR is definitely bringing a lot in controlling your process and making a better quality product,” said van Engelen.